You know what I love? Waking up on a Saturday morning and baking while the kids watch toons and Ryon reads the news. It sounds silly but it’s my favorite day of the week. 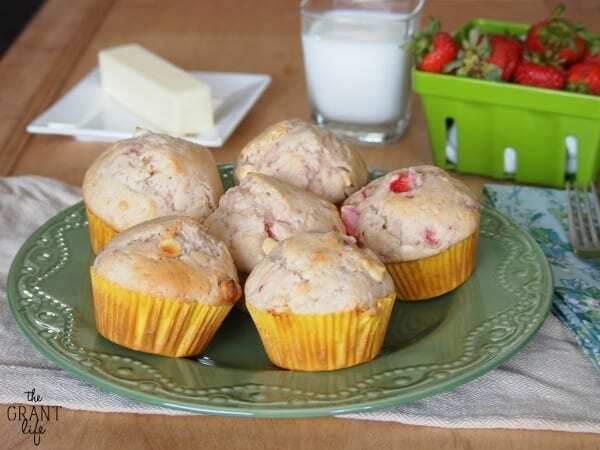 I can watch the kids from the kitchen, chat with Ryon and whip up treats like these strawberry white chocolate muffins. 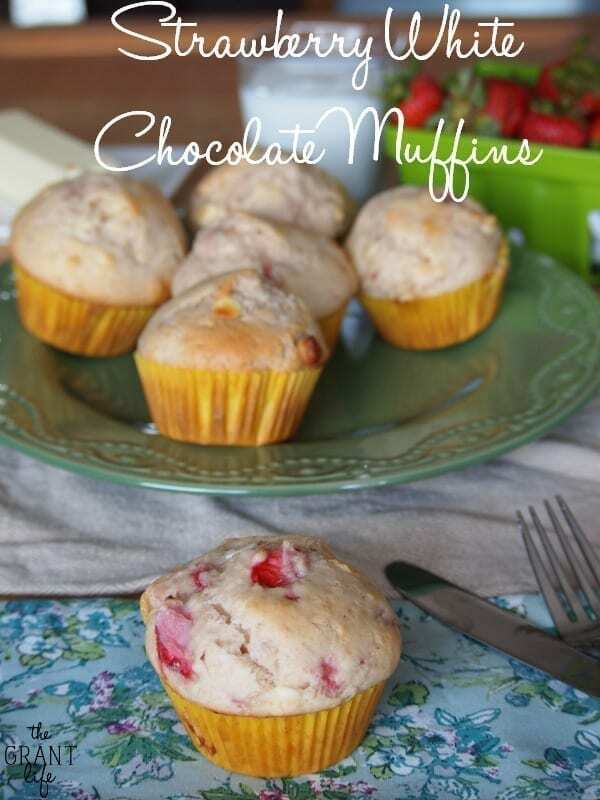 Actually strawberry white chocolate muffin Saturday is my new all time favorite day of the week. Everyone in the house were battling allergies this past week. Ryon has real bad allergies and unfortunately the kids inherited the same sensitivity. It’s hard to watch them all suffer with sniffles, watery eyes and coughs. 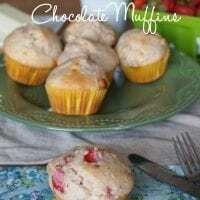 I thought so light and tasty muffins would help them feel better. As soon as I turned on the mixer, Ryley came bounding in the kitchen. “Whatcha making momma? Can I help?” I can’t ever say no to that, so she was in charge of adding the strawberries. And of course taste testing. Ninety percent of the sweets I make have Ryley fingerprints in the batter. But it all bakes out, right? I had Ryley line the muffin tin and we waited for them to bake. I set up my little area where I take pictures while they were in the oven. Both kids ran and grabbed their fisher price cameras and helped me take pictures. It was seriously the cutest thing ever. I teared up as they started to click away at the fresh baked muffins. It makes me happy that they are able to join me in baking. I make and photograph recipes multiple times a week and I don’t ever think they are paying attention to me. But then they grab their little cameras and become mini photographers with me. Preheat oven to 400 and line a muffin tin. Combine flour, sugar, baking powder and salt. Add egg, milk, vanilla extract and oil. Stir until combined. 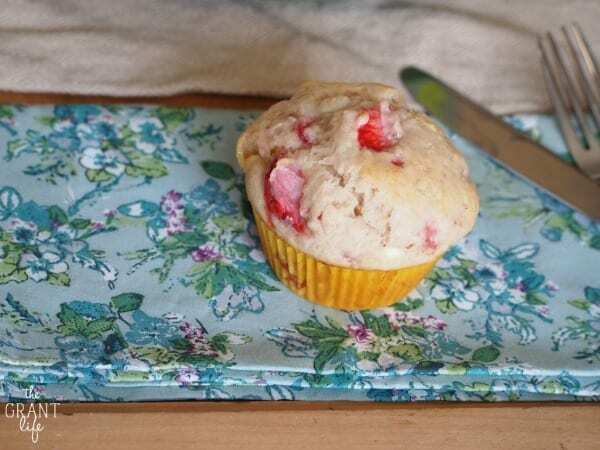 Fold in strawberries and white chocolate chips. Place into 12 muffin tins. Bake 15-18 minutes or until a toothpick comes out clean. 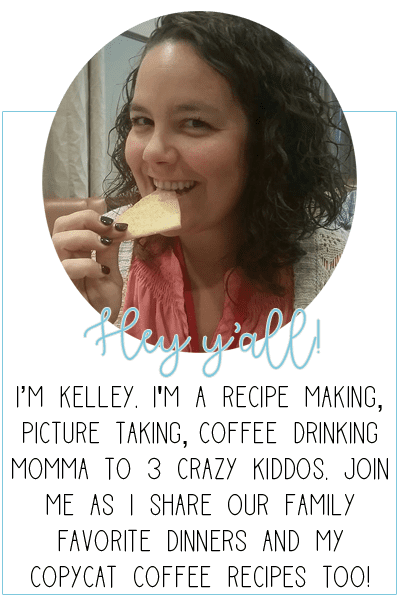 Kelley, the kids and their cameras–it is too much adorable to handle! 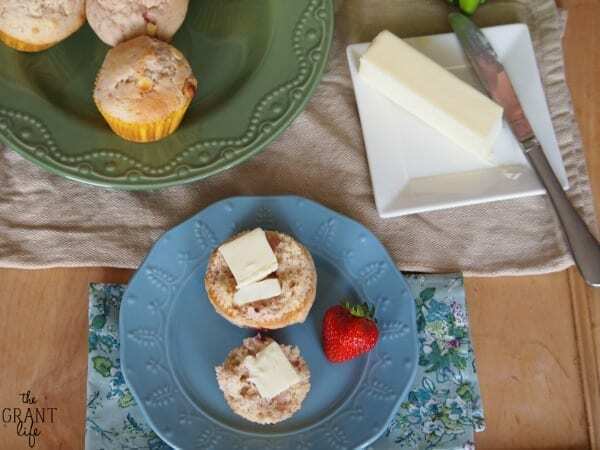 These muffins look like the perfect antidote to allergies 🙂 Especially since they have white chocolate! Thanks Crystal! They were a good combo! Come link up with me today!